For national holidays, we operate schedules that vary depending on where you might be traveling. Kansas City, Mo. bus routes provide service every day of the year. On New Year’s Day, Memorial Day, Independence Day, Labor, Thanksgiving and Christmas, buses that travel major routes will operate the Sunday schedule. No service on New Year’s Day, Memorial Day, Independence Day, Labor Day, Thanksgiving Day and Christmas. Also note, the 510 K-10 Connector route operates on reduced service depending on when the University of Kansas and Johnson County Community College are in session. 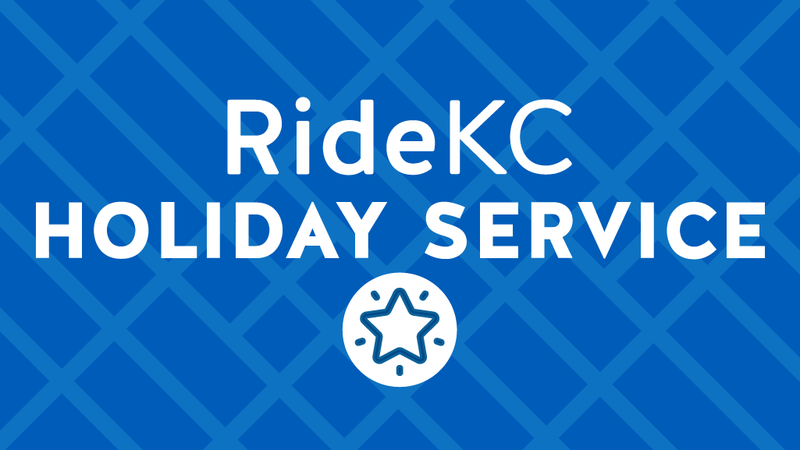 ​Wyandotte County, Kan., does not provide service on New Year’s Day, Memorial Day, Independence Day, Labor Day, Thanksgiving Day and Christmas. Independence, Mo., does not provide service on New Year’s Day, Memorial Day, Independence Day, Labor Day, Thanksgiving Day and Christmas.